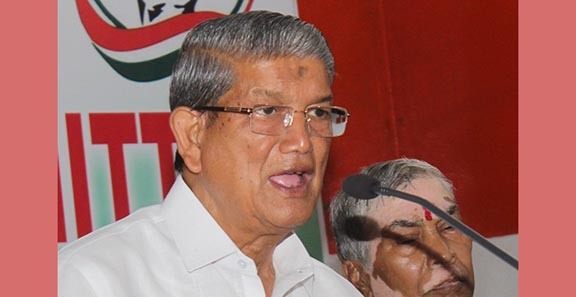 AICC in-charge for Assam Harish Rawat has expressed his happiness over the first phase of polling and said the Congress is going to win all the five Lok Sabha seats — Tezpur Kaliabor, Jorhat, Dibrugarh and Lakhimpur. In the first phase of polling on April 11, Assam recorded voter turnout of 78.23 per cent. “The people have voted for a change and issues like lack of development, unemployment and most importantly keeping in view the issue of Citizenship (Amendment) Bill, 2016. The Citizenship Bill will get priority in the second and third phase of polling which will have nine constituencies going to polls on April 18 and on April 23,”Rawat said. All India Congress Committee (AICC) Assam in-charge Rawat also accused the Bharatiya Janata Party (BJP) and Prime Minister Narendra Modi of seeking vote on the achievement of the country’s armed forces. Former Assam chief minister Tarun Gogoi also addressed a press conference on Saturday and expressed his unhappiness over the role played by the Election Commission of India and said the ECI is “not playing an effective role” to provide level playing field to all in the run-up to the Lok Sabha polls. “ECI is not doing effective job. The ruling party leaders are blatantly using the names of our defence forces for gaining political mileage in the poll,” said Gogoi. In the first phase of polling, while Kaliabor constituency recorded 82.09 per cent of voter turnout, Tezpur constituency came second by registering 79.15 per cent polling. Jorhat LS constituency followed the list with 77.49 per cent polling while Dibrugarh and Lakhimpur constituencies recorded 77.26 and 74.81 percent polling respectively, officials said earlier.